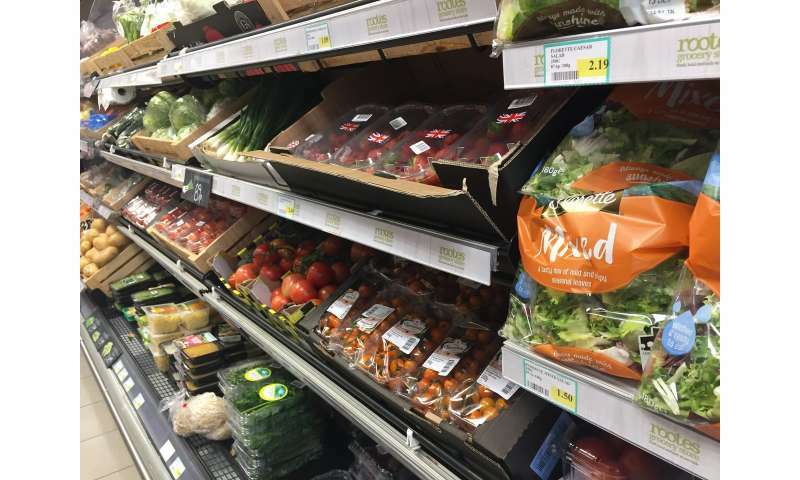 Simply moving where fresh fruit and vegetables are placed in a shop can increase their sales, new research by Warwick Medical School/the University of Warwick, published by BMC Public Health, has found. The finding follows analysis of purchases from a real shop in which the location of the produce was changed with no further advertising or messaging added to encourage customers – suggesting that a simple "nudge" can encourage increased fruit and vegetable consumption without any conscious action by the consumer. 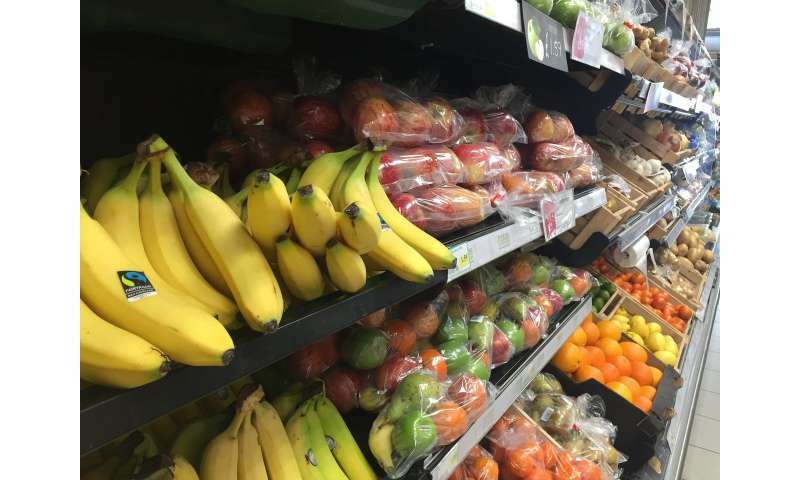 The changes to the location of the fruit and vegetables within the shop, Warwick's own Rootes Grocery Store, saw them being moved to closer to the store's entrance. This decision had been made without either the aim of conducting a research experiment or to purposefully encourage a healthier diet. Instead, the research, led by Dr. Oyinlola Oyebode of Warwick Medical School, was conducted only after the researchers had heard about the changes and were keen to investigate whether they had had any effect on fruit and vegetable purchasing. The researchers collected data from the shop tills (from January 2012 to July 2017) to examine sales before, during and after changes to the store's layout. From the collected data the researchers found that after the layout changes there was an increase in the percentage of the store's total sales that were fruit and vegetables, both in terms of items sold and by value of total sales. They bought approximately 15% more fruit and vegetables than would have been expected without the intervention. The researchers also found that the increase in fruit and vegetables sales following their new location may be maintained over time—meaning that such a change may be a viable method of improving the nutritional quality of the diets of young adults, at a time when there is existing evidence for a declining fruit and vegetable consumption in that age group. This suggests that a statistically significant and maintained increase in fruit and vegetable purchases by young adults can be achieved through "nudge" techniques and without the need for advertising or overt message campaigns. "We looked at whether a change in the lay-out of a campus supermarket changed students' purchasing and we found that it did. Making the fruit and vegetables more accessible increased the amount of fruit and vegetables that were purchased. "This is exciting because, while we all know eating fruit and vegetables is healthy, supporting people to increase their fruit and vegetable consumption has been more complicated. "This "nudge" intervention in a young adult population, is particularly appropriate because it doesn't restrict choice, and it doesn't require any conscious action by the young adult." "Having found this result, we plan to support our students to eat healthily by keeping fruit and vegetables accessible in our campus grocery store". The research, "Choice architecture modifies fruit and vegetable purchasing in a university campus grocery store: time series modelling of a natural experiment," is published by BMC Public Health.